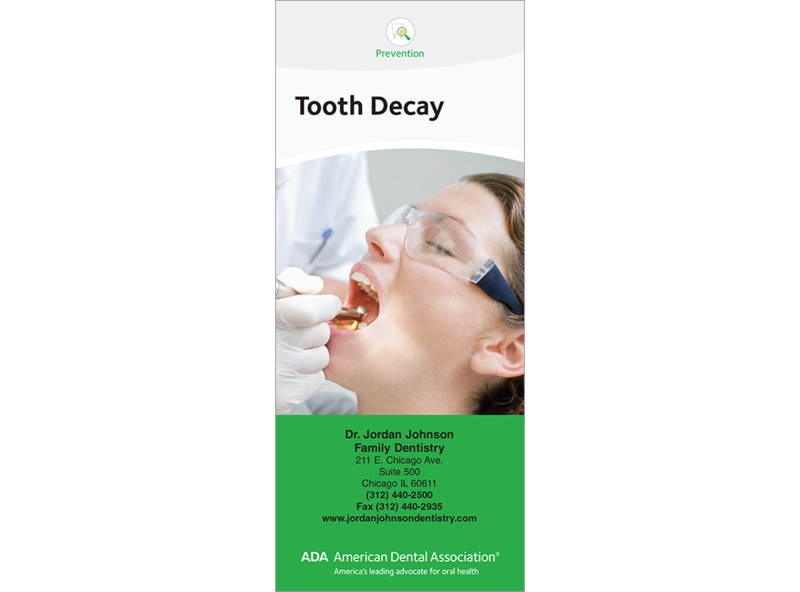 This always-relevant brochure shows the progression of decay in vivid detail, listing the treatments required if decay is left unchecked. Encourages patients to brush, clean between their teeth, and limit sugary food/drinks to help them avoid this outcome. Revised cross-section illustrations show the progression of decay and points out where on the tooth that decay is commonly found. 8 panels. Minimum order 150. Click Add to Cart then personalize for free. Now you can add personalized information on the front, back, or both covers on all brochures.